Stadion Florian Krygier is a multi-functional football stadium located in north-west Polish city of Szczecin which is a major seaport. 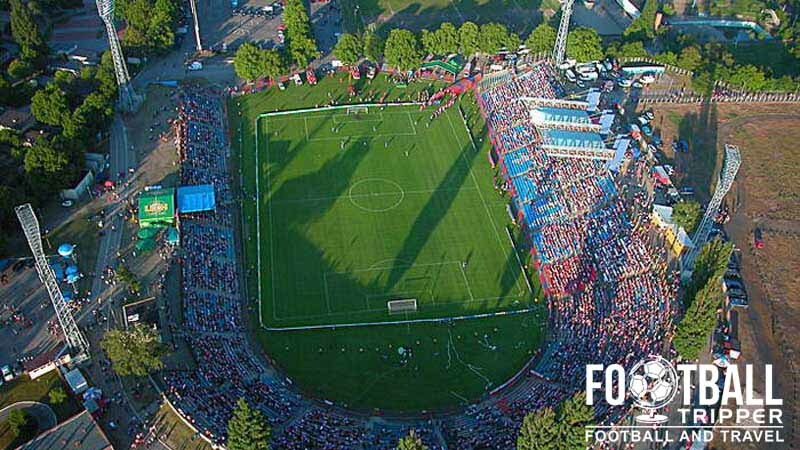 Used chiefly for the football matches of local team Pogoń Szczecin who compete in the Ekstraklasa, the ground has a current capacity of 17,783. Florian Krygier Stadium first opened on 5th October 1925 after the city constructed a multi-purpose stadium complete with 400 metre athletics track, and changing rooms inside a disused gravel pit. Capable accommodating 15,000 supporters, the site had previously been used by Russian Prisoners of War as a football pitch in 1914, although the quality of the gravelly surface left a lot to be desired. Upon opening the municipal stadium was named after Dr. Hugo Ruhl (1845-1922), and it wouldn’t be until 26th July 2005 after modernisation had occurred that the stadium would be renamed in honour of Florian Krygier. Unanimously approved by the City Council of Szczecin, Florian was an instrumental figure in the formation of local football having helped found Pogon Szczecin in 1948. The ground was destroyed during the Second World War and was reopened in 1949 under the name of Municipal Stadium. The first floodlight match was held on 31st October 1955 with a friendly against Lech Poznań. 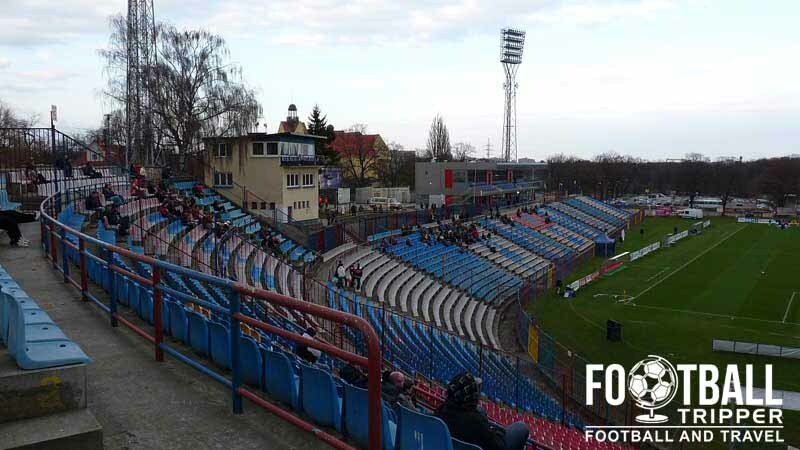 A handful of minor renovations occurred throughout the 20th century, with the city of Szczecin purchasing the stadium from Pogon in 1989 after the club encountered financial difficulties. 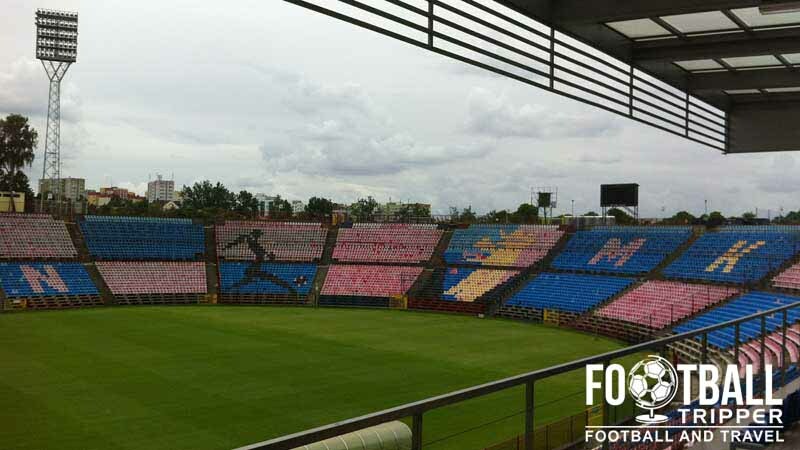 Stadion Florian Krygier was fully converted to all-seating during at the start of the 1995 season, and since the turn of the millennium a modest programme of modernisation has occurred. For example in 2003 a new roof was added to the main stand, 2005 saw the installation of undersoil heating, 2006 improved scoreboard and replay screen was installed, and the changing rooms were refurbished in 2009. 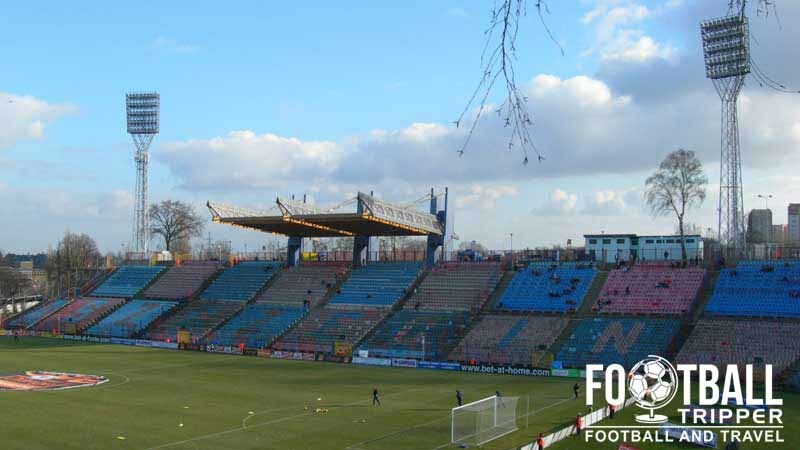 Pogoń Szczecin’s stadium has hosted several international matches over the years including a 9-0 record high scoring match against Norway on 4th September 1963. Currently there are plans to construct a roof which cover all sections of seating throughout the stadium. 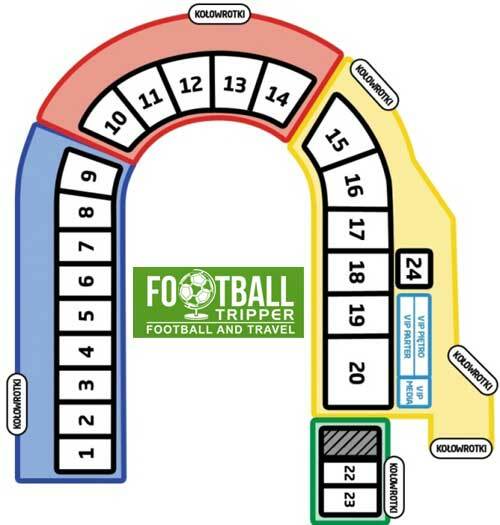 Stadion Florian Krygier is comprised of four stands: North, East, South and West.